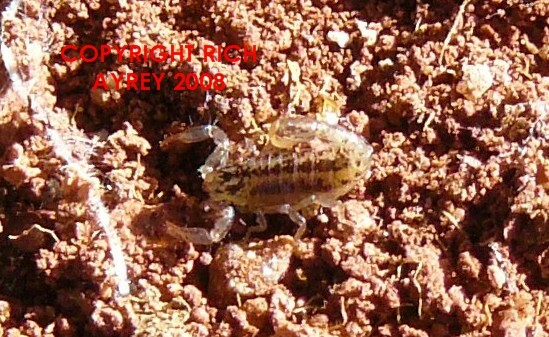 I found this scorpion under a rock in the foothills of the Superstition Mountains North of Phoenix, Arizona on 2/25/2008. This scorpion is about 3/16" long. The juvenile scorpion in this photo was found under this hand sized rock. If you look closely, you may be able to see it in this photograph. These scorpions spend most of their lives under ground. Photo of a gravid female Superstition Mountain Scorpion approximately 7/8 inch long. Arizona Scorpion World Photographs by Rich Ayrey, do not reproduce without the written permission of the photographer. 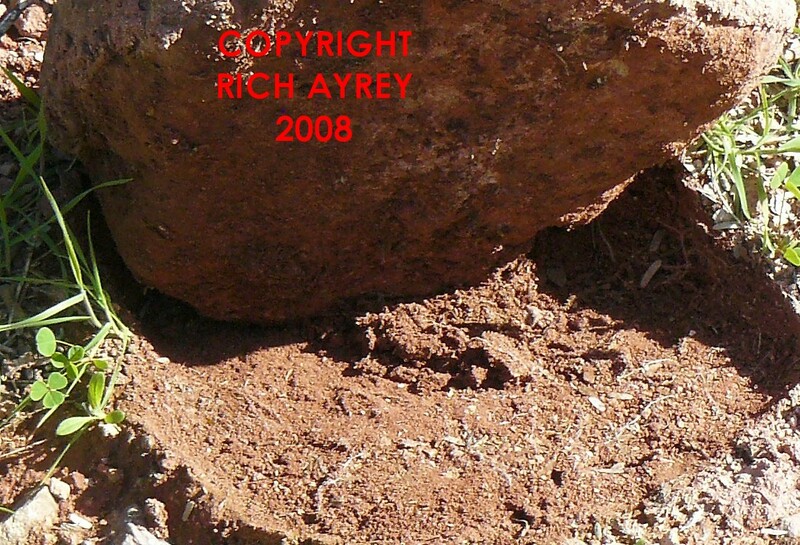 This Arizona Scorpion site copyright Rich Ayrey 2008-2017 Flagstaff, Arizona. Near the Grand Canyon. 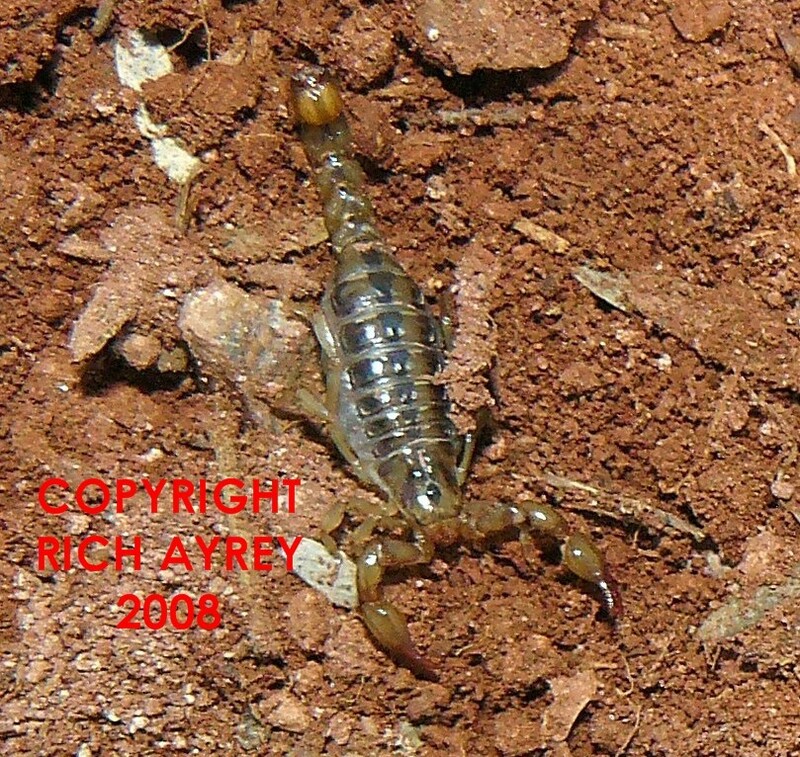 This Arizona Scorpion page created 03/08/08. This Arizona Scorpion page last updated 01/14/2017.